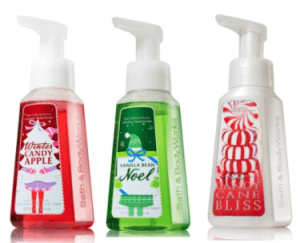 Hurry over to your nearest Bath & Body Works today only to get this great deal! They are offering a Buy 3 for Anything, Get 3 FREE sale in-store only. Plus there is a FREE Item with ANY $10 purchase coupon! = $20 for 6 candles or $3.33 each! = $11 for 6 or $1.83 each!